On my recent visit to Ranganathittu bird sanctuary, I happened to spot this beautiful bird with such gorgeous colours in its plumes. 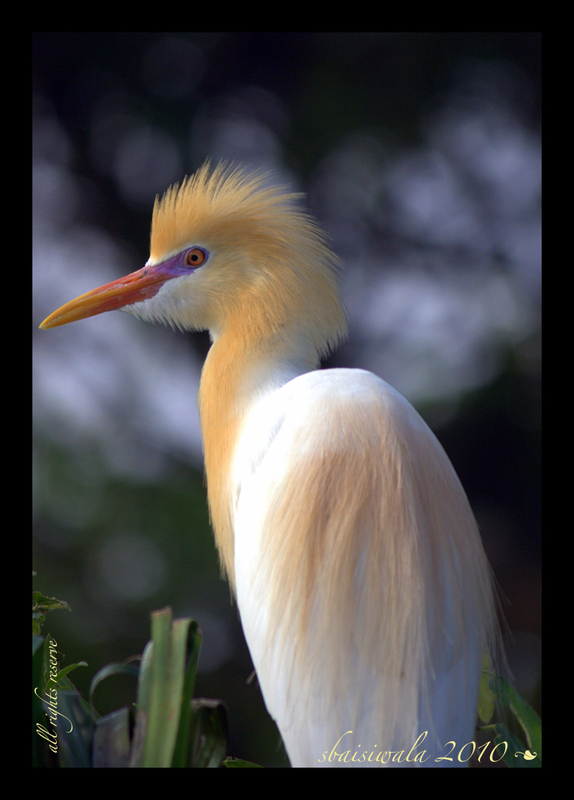 This bird is the Cattle Egret or Bubulcus ibis which according to Wikipedia is a cosmopolitan species of heron (family Ardeidae) found in the tropics, subtropics and warm temperate zones. It has similarities in plumage with the Egret family but has familial ties with the Heron family. It is a small stout bird with a white body, yellow bill and light orange colored legs and feet. In the breeding season, these have a buff yellow-orange plumage on head, neck and back. Their neck and legs also become brighter in color. They lay about 2-4 eggs which are incubated for a period of 18-30 days. 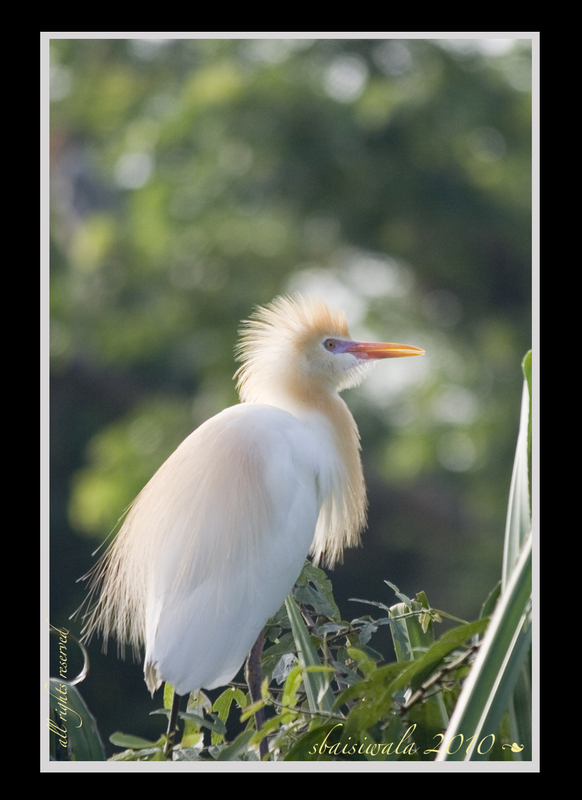 Cattle egrets reside in marshy areas, ponds and lakes with other wading birds and mostly feed on frogs, insects, etc. Previous Post A.I.R.T.E.L. – Arrogant, Incompetent, Rude, Trying, Endless, Lazy!! !